Hi there, my darlings!! This evening, I liked to show you all a polish I'm really excited about! 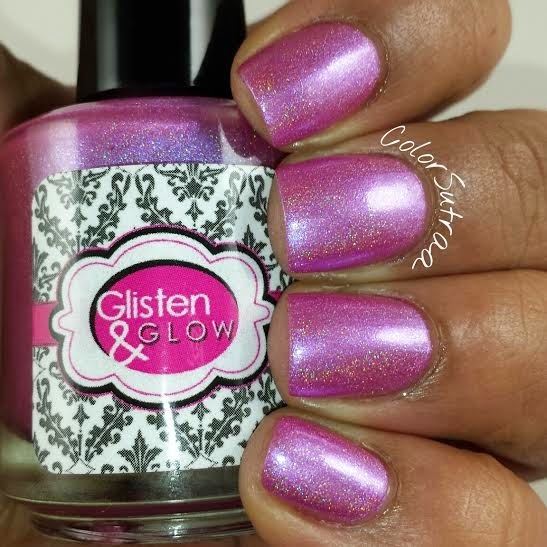 Now, as many of you know Jill of Glisten & Glow and I have been very good friends and I'm a huge supporter of her nail, hand and body care, especially her HK Girl topcoat which is my go-to topcoat. Last year, she started creating her own polishes and I couldn't be prouder or more excited! 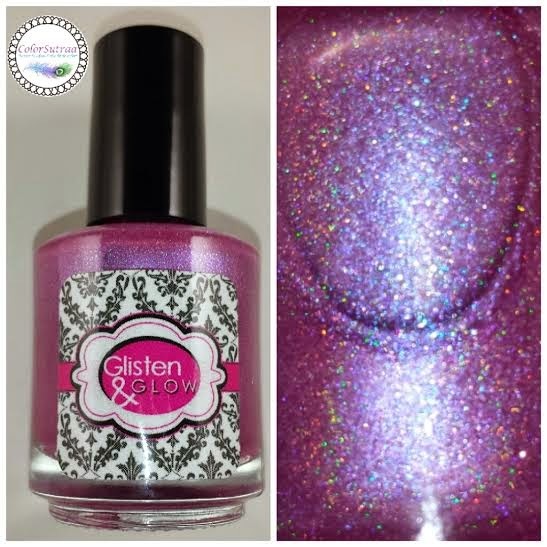 Tonight, I'd like to show you Endless Rainbows, a gorgeous holo that will be exclusive to the March 2015 A Box, Indied from Llarowe! 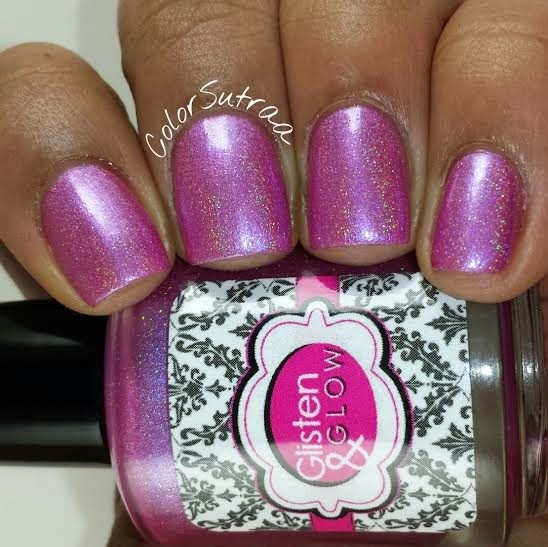 Endless Rainbows is a beautiful pink linear holo with an intriguing lilac color shift and just a touch of white and pink flakies and shimmer. 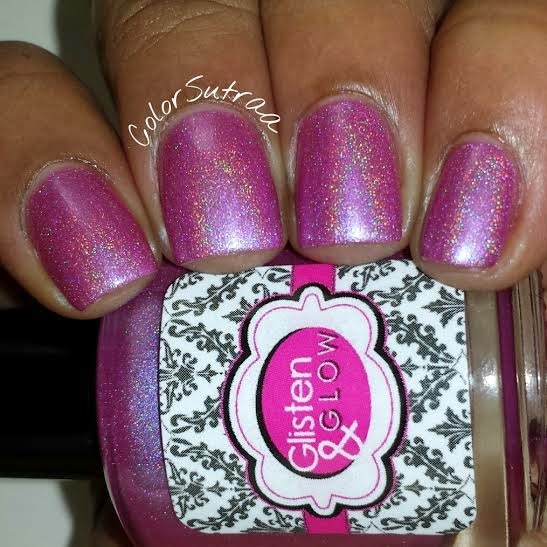 Fantastic formula and application--this beauty went on smooth as butter and was opaque in 2 easy coats. Plus I loved how quickly each coat dried! The swatches below show 3 coats, which I applied out of habit more than anything else, topped with 1 thin coat of G&G's HK Girl. 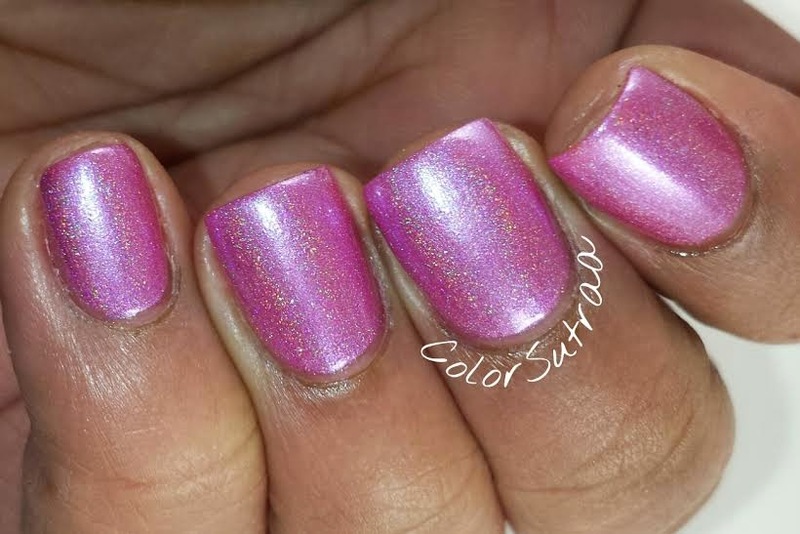 Not all pinks look great on all complexions but I think this one would be beautiful on any skin tone! Just look at that lilac shift! So there you have it, my darlings! A Box, Indied's March box will be releasing on February 26th, 2015 at noon MST nad again at 7 pm MST for the price of $50 with free shipping on Llarowe's website HERE! 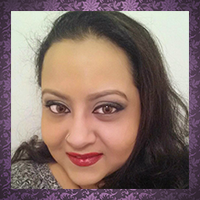 PLAY LOVE LAUGH : Review, Swatches and Giveaway! VOODOO TATTOO : Review, Nail Art and Giveaway!